Leading worldwide: PEMAqua The components, machine and electrolyte treatment are developed, thoroughly tested and manufactured by us. Our systems are guarantors for quality. Equipping the machine with exactly the number of microfilters required and the fully automatic monitoring and precise adjustment of the electrolyte’s conductivity, pH-value, chromate content and temperature are matter of course for us. The machine and electrolyte treatment need to be optimally attuned. In short: We do everything to ensure that our electrolytes work for you on an unfailingly high level. The quality of the electrolyte is crucial because with pemming, the electrolyte is the tool. The PEMAqua guarantees the electrolyte’s quality and thereby ensures the perfect functioning of your PECM machine. 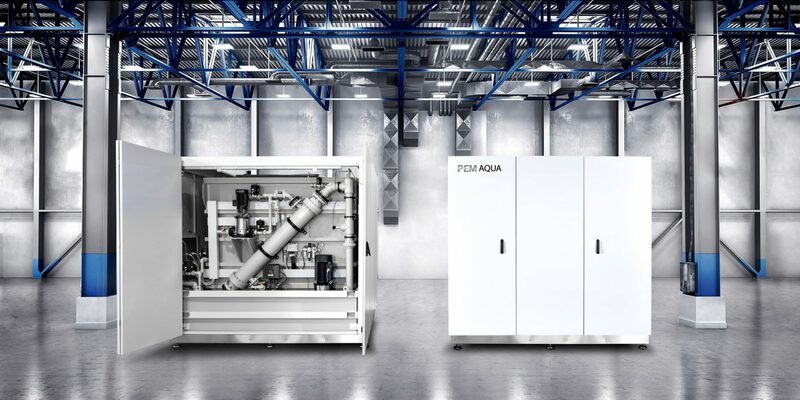 As a completely enclosed system with low space requirements, the Aqua 2000 is a flexible solution for every application area. PEMTec’s flexible electrolyte treatment concept is modular and offers every option of individual integration, depending on the serial production. 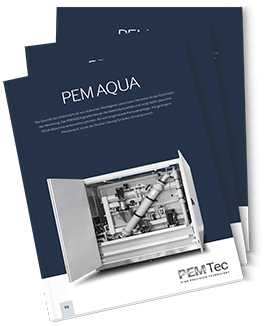 This means that the performance of the PEMAqua can be adjusted in terms of the volume and filtration capacity. What is decisive for our conception in this regard are the client’s requirements, particularly where the processing, removal rates and spatial givens are concerned.